Based on our simple shear pouch, we decided why not go ahead and add on elastic loops to allow holding of a tourniquet as well. The loops are a nice snug fit good for holding popular tourniquets such as the CAT and SOF-T. Due to the layout change, the security strap is now VELCRO® Brand ONE-WRAP® based which releases easy while still providing a good hold. A color matched Malice clip is included for mounting, however NO shears or tourniquets are included. 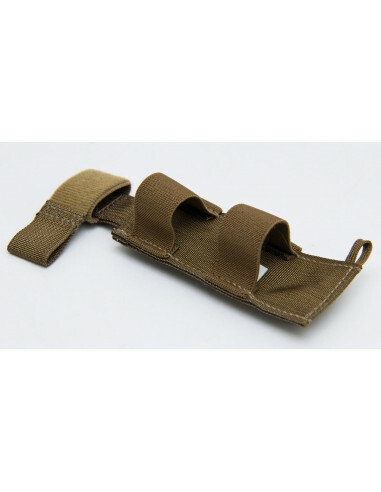 Approx 2" x 6.5" (including strap) Made in the USA by Tactical Tailor.